I like the simplicity, yet expressiveness of this model a lot. hi. i love your tutorials and have made many of the origamis you show to us. 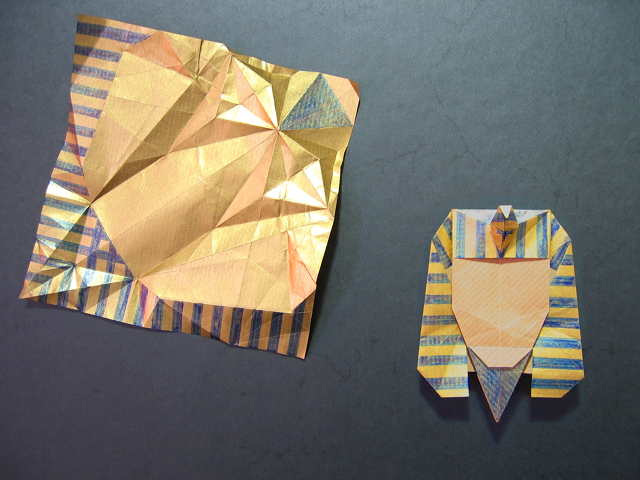 i was wondering where you got the diagrams for the tutankhamun mask. if its online please post up the link. I don't think there are public diagrams for this yet. However, I think I'll make a video on this. And if diagrams will be published publicly, I'll update this page and add a reference. hey was your site a "success" when you started (first year) it? how did you get so many views? My site was astonishingly "successful" from the start. But that's probably because I'd already made a lot of origami videos and uploaded them to YouTube before I launched the site. As to how I got many views - I guess I produce content that others find interesting, and they recommend it to others. 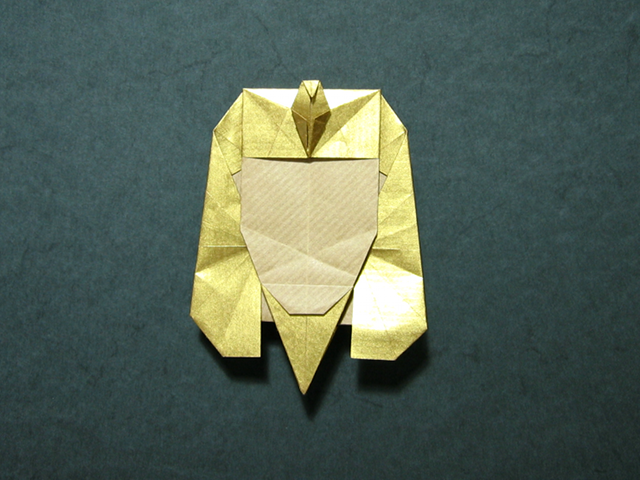 I promote my videos and website on an origami forum and three origami mailing lists, and I've got a twitter account. To be honest with you, though, I did none of that in the beginning. And now more to keep people informed, rather than get more visitors. Favicon: You can create them and state in your html code to use that favicon. the favicon i already have made just need to get it on my site! It even lists the html you may want to include - or, if that's too complicated: try saving the favicon with the name "favicon.ico" and place it in the same directory your website files are. It may well be that the icon will be picked up automatically like this.